2-song single with "She's a Dish" and "Because of You" [NCFC review] plus various demos and video footage. 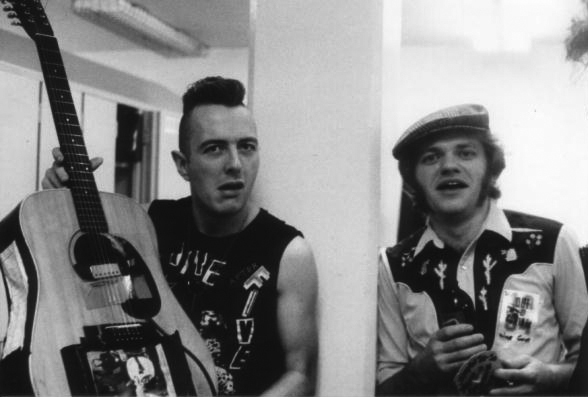 Opening for the Clash for three dates in Canada and recording in Nashville Tennessee. Opening for the Clash for three dates in Canada. There's two: opening for the Clash in this huge basketball stadium at the University of Waterloo, one of the biggest shows of their careers and having a massive equipment meltdown on stage in front of 15,000 people. A total disaster and the press raked them badly. Joe: Actually it was the worst opening gig I'd ever done [with any band], but we learned a lot from it. But The Clash gave us a full sound check every night and use of the full Pa. That does not always happen, in fact it's rare at that level. I think everyone acknowledged how hard the Clash was to open for, many now well-known bands had stuff heaved at them during their opening set. NCFC: Did that happen to you guys? Joe: It did in Ottawa a bit and big time in Kitchener/Waterloo. Montreal was excellent - the reviews and response were good. NCFC: That's good. Too bad about Ottawa. Joe: Well the locals were hoping one of their bands would get the opener so there was some resentment, but we were aggressive and supplied the Clash's NY office what they asked for on time. The other one is funnier. The boys finally get a big break, they're headlining this huge country/rock festival outside of Smiths Falls in October...outdoors. The promoter is really hot on the Wiseguys. Well the day comes and after cancelling a show in Ottawa the boys arrive to a vacant field, 8 o'clock at night not a soul in sight. They had only sold 15 tickets and didn't tell anyone, not even the sound company, who the band later learned had sent this massive P.A. to the sight only to pack up and go home at noon. 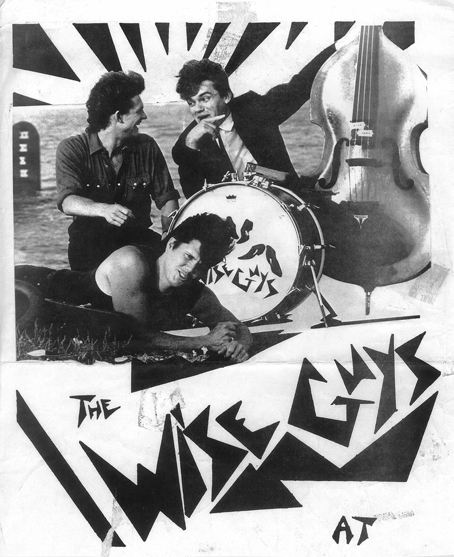 Joe Brady was the bass player in Percy and the Teardrops for 10 years previous to joining the Wiseguys. The band spent a month in Rouyn-Noranda one week, enough said! 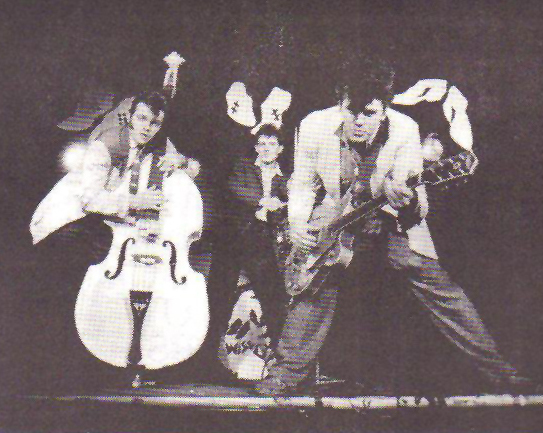 Joe Myke originally played bass with The Howlin' Cs. He and Kenny left Ottawa to form the Razorbacks in Toronto. Bews continued drumming with the Black Donnelly's and the Road Island Reds, both out of Ottawa. Myke played bass on the Farrell Brothers debut cd "Ballad of Jackpine Slash" in 1997. Kenny works in the movie industry in Toronto. Myke lives in Toronto working as a carpenter occassionally playing bluegrass music. Bews is in sales in Ottawa. Brady works out of Kingston with various bands and different musicians. Larson is in Kingston gigging as a sound tech and concert promoter.